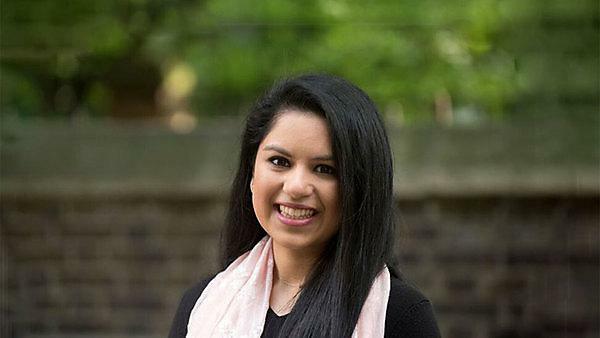 Karishma Chouglay tells us why she decided to change her career direction by completing a degree at Plymouth University. A dentist’s career path starts off the same for all dental students, as we have to complete our dental foundation-training year in a dental practice. After this year we then have the choice to follow a number of different paths, including further training or working on your own. I am about to start my training year and then plan to continue working as a general dental practitioner, with a brief stint in a hospital if possible. When studying dentistry, you know what your end goal is going to be; however, there are a variety of options in dentistry, such as working in a hospital or going down a more business orientated route. My degree has opened my eyes to all these options, especially working in a hospital that I didn’t ever think I would want to do. As part of my dental foundation training, I have been given the opportunity to go to Chicago for an international dental conference which I am really looking forward to attending. Well, first of all, I’ve already completed two degrees (three years of biochemistry in London and now four years of dentistry at Plymouth). If I were to start my second degree again, I would have made the most of the extra-curricular activities available to me in Plymouth and I also would have made the most of the self-directed learning time we were given. Get yourself work experience in different areas of dentistry so that you know what your options are when you graduate. Also, try to gain work experience in other industries so that you can make a balanced decision. At Plymouth University we are given a lot of practical experience from a very early start, which really helps to build up the skills that we need in the profession. We are given a lot of trust and independence with our patients and this helped me to build my confidence when dealing with patients. Aside from the practical skills required in dentistry, I was able to build on my communication skills, my organisational skills, and also increase my confidence. I had a six-month placement in Truro during my third year and this was a really lovely experience. I had been dreading going to Truro as it was even further away from home than Plymouth. However, I ended up having a really nice time. The dental clinics and hospital placements were a good experience and living in Cornwall had a lot of perks (the beaches). I have stayed in touch with a number of my clinical supervisors from my time at Plymouth University because they were extremely supportive throughout my degree. I would recommend studying at Plymouth University because it is an institution that prepares you for the working world. The courses are well structured and you will have a great time exploring the South West. Always strive to complete your dreams and ambitions, as it will be worth it in the end. It took me seven years and two degrees to become a dentist but I’m so glad that I stuck it out. For more information about studying dental surgery, please visit our BDS Dental Surgery course page. For more information about our range of courses within the the University of Plymouth Faculty of Medicine and Dentistry, including BSc (Hons) Dental Therapy and Hygiene, please visit the school page. If you would like to find out what other alumni from the University of Plymouth Faculty of Medicine and Dentistry are currently doing, please visit the medicine and dentistry interest area.